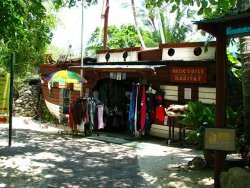 For a small island, there are so many activities on offer! These include snorkelling, swimming, and scuba diving, parasailing or exploring the island further with a self-guided island walk. 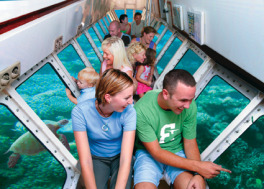 If you are unable to swim or have small children, you can view the reef by glass bottom boat or semi submarine. 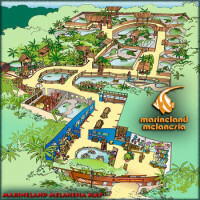 Built in the 1960’s, Marineland Melanesia is the home to over 50 crocodiles, marine aquariums with coral, fish, and giant sea turtles. The main attraction is Cassius, the largest crocodile ever caught in Australia, who is over 100 years old. Also on display is one of the world's most extensive collections of Melanesian Tribal Artifacts. George. J. Craig is one of the most respected collectors in the category and is extremely proud to show of his collection of priceless pieces, collected from around the Melanesian Region. George still lives and works at Marineland Melanesia and is often around for those who would like to hear some stories from a true croc hunter. You also have the opportunity to get your photo taken holding a baby crocodile. Marine Melanesia is open daily 9:30am until 4:00pm, and an entrance fee applies. The Green Island Boardwalk is a leisurely 1.3km return taking less than an hour. The trail will guide you to numbered locations that explore the history of the island and informative facts about some of the 126 native species of plant life on Green Island. A self-guided island walk brochure is available from the information centre for visitors to explore Green Island at their own pace (Download self-guided eco walk map). Snorkelling equipment is recommended to fully experience the beauty of the coral reef only metres off the beach. 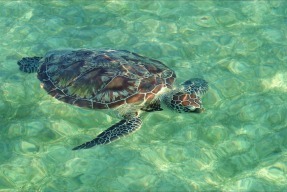 The waters around Green Island are home to a large population of sea turtles who are often found swimming in the seagrass and reefs close to the island shore. Mask, Snorkel and Fins are included with the hire of Snorkelling Gear. Lycra Suits and Floatation Vests are available for hire. On your journey to Green Island safe snorkelling tips are given, and a patrolled swimming area is provided on the northern side of the island near the beach hire hut. Scuba diving is the best way to see the reef and no experience is necessary to take a fully supervised introductory dive. Swim through coral formations and expect to see turtles, large rays, reef sharks, a variety of clams, corals and colouful fish species. Introductory and certified divers can experience exciting underwater adventures at specially selected dive sites. 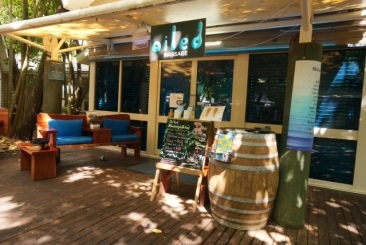 Once briefed you will head down to the beach where you will board the dive tender for a short boat ride, about 7 minutes offshore, taking you to the selected reef location of the day. Professional and experienced instructors will guide you through every aspect of your dive, allowing you to have a relaxed, enjoyable experience. If you already have a dive certification, then an experienced dive guide will accompany you to ensure maximum enjoyment, safety, and to guide you to the best dive sites. Green Island makes for an ideal base for families and non-diving companions - you can dive while your family enjoys the abundance of island activities. Certified and Introductory Diving is not an included activity and will need to be organised at the Dive Shop on Green Island. To experience the best snorkelling sites at Green Island, join one of the boat snorkelling trips. You will be taken to a reef location about 1.5km from Green Island to explore and swim amongst colourful marine life and coral gardens. A snorkelling safety officer [lifeguard] is on hand to supervise and direct you to the best areas of the site. The boat snorkel tour is an additional cost and can be arranged at the Dive Shop. 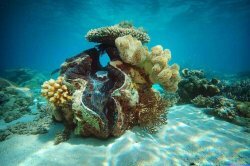 For a complete Great Barrier Reef holiday experience take a day cruise to the Outer Barrier Reef visiting Moore Reef or Norman Reef. Travel time is approx. 60 minutes where you will transfer onto a stable reef activity platform from where all the reef activities take place. This is the perfect base for swimmers and non-swimmers to explore. Snorkel and dive, visit the underwater observatory and cruise in a semi-sub, or just relax on the sundeck with a delicious buffet lunch. The spacious platform features undercover seating, full bar facilities, a swimming enclosure for children, change rooms with freshwater showers, sundeck, and scuba diving facilities with a semi-submerged platform. Great Adventures provides an excellent day combining a 2 hour stopover at Green Island followed by 3 hours at the Outer Barrier Reef. Charges apply. Great Adventures’ platform on the Great Barrier Reef is the only place in Australia where you can cruise the reef on your own underwater scooter! No experience is necessary and non-swimmers welcome. It's great fun and your professional guide will take you on an underwater journey to remember. Scuba Doo is an extra optional activity (fees apply) and can be arranged on the day with Great Adventures. A scenic heli flight is the most exhilarating and unique way of experiencing a birds eye view of Tropical North Queensland's spectacular icons. Enjoy stunning aerial views over Green Island and the Great Barrier Reef, with the possibility of seeing marine life in their natural habitat. 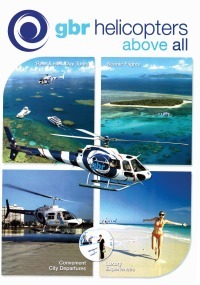 Helicopter flights depart from Cairns daily. Fly or cruise to Green Island or if joining the outer reef cruise with Great Adventures, you can also choose to helicopter to or from the outer reef activity platform. 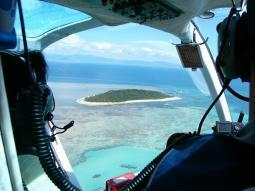 10 and 15 minute scenic flights are also available on demand from Green Island. Available from the Beach Hire Hut is a range of equipment including windsurfers, canoes, kayaks, sun lounges and umbrellas. Most non-motorised equipment is complimentary for house guests. 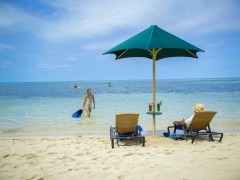 If you prefer to relax with a cold drink on your personal sun lounge with a parasol then you can do that too! Umbrellas and sun lounges are available complimentary for House Guests. Enjoy an amazing underwater walking experience on the sea floor at Green Island! Get up close to the Great Barrier Reef's amazing creatures. There’s no equipment to operate, non-swimmers welcome, you can wear glasses or contacts, your makeup stays on and your hair stays dry! This safe adventure is suitable for nearly the whole family and the perfect way to explore the reef, be completely surrounded by colourful fish and corals. 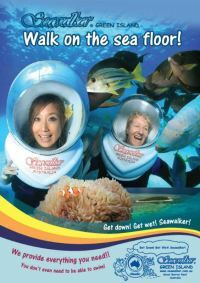 Walking on the sea floor experience takes about 45-55 minutes and is fully guided. 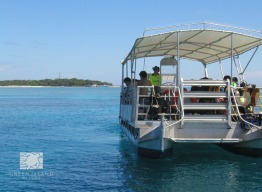 Sea Walker is an additional cost and can be organised at the Dive Shop on Green Island. Explore Green Island’s underwater world, part of the Great Barrier Reef in air-conditioned comfort on our Semi-Submarine… without even getting wet! Seated below water level, passengers are treated to a divers view of the coral reef and marine life with informative commentary by the crew and see the lively fish feeding. This vessel seats 27 passengers and cruises for 30 minutes. 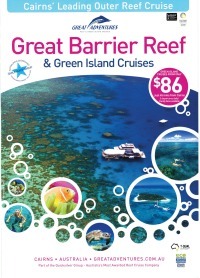 It is an ideal option for non-swimmers and families with small children to be able to view the reef up close in comfort. The semi sub tour is included in some Green Island packages with Big Cat Cruises, or you can book separately on the day (charges apply). 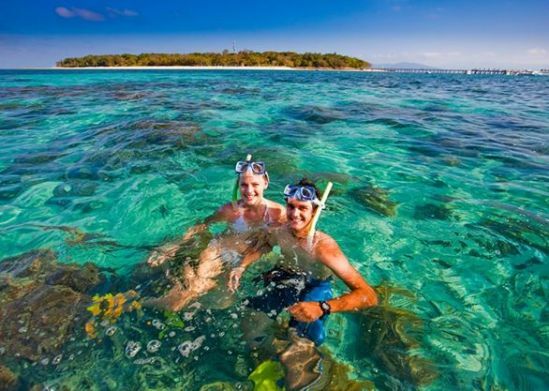 Experience Green Island’s underwater world, part of the Great Barrier Reef on a 30 minute Glass Bottom Boat tour.View beautiful coral gardens and amazing marinelife while keeping dry in a modern Coral Explorer glass bottom boat. 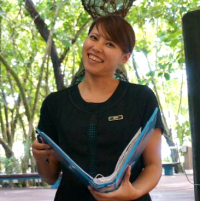 A commentary by your driver enables you to learn about the Great Barrier Reef and the different types of corals and fish that can be found surrounding beautiful Green Island. Both Great Adventures and Big Cat Cruises offer glass bottom boat tours as part of their day packages, or these can be booked and arranged separately. Featuring the option of outdoor terrace or air-conditioned dining. Emeralds is open for breakfast, lunch and dinner. Light meals include fresh oysters and antipasto selection, a range of salads and sandwiches or for those with a healthy apetite choose from main dishes which include grilled eye fillet and wagyu beef burger. The Canopy Grill is a casual alternative for an informal and inexpensive a la carte lunch menu. Enjoy your favourite burger, fish and chips, or café style wraps. Light Bites is time for a treat! Enjoy one of the delightful ice creams, shakes or snacks. Drinks are also available. Reflections is the perfect place to enjoy a beverage by the main pool. 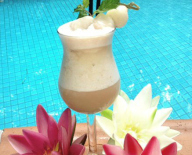 Indulge in your favourite drink, espresso coffee or one of the cocktails creatively prepared by the skilled bartenders. For the ultimate in relaxation, Oiled Massage Salon has a wonderful range of massage options including their signature massage Oil, Shiatsu and Reflexology. They use only pure Australian golden jojoba oil as a base oil, blended with your choice of beautiful aromatic oils to tailor your massage experience. 1. 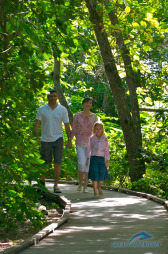 Explore the island, walk the beach and rainforest boardwalks. 2. Snorkel and swim in the clear cool island waters. 3. 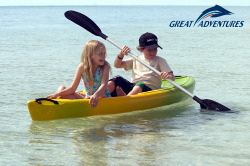 Hire a canoe, stand up paddle board or a beach lounge and umbrella. 4. Relax with a 1 hour massage at Oiled Massage Salon. 5. Find a sheltered part of the beach with plenty of shady retreats. 6. 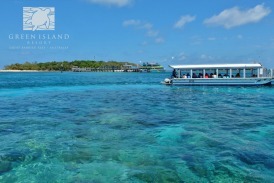 Take a Glass Bottom Boat coral viewing tour with fish feeding and commentary. 7. Enjoy a delicious lunch at the restaurant or food outlets. 8. Browse the resort shops for gifts and souvenirs. 9. Visit Marineland Melanesia’s Nautical Museum and see the live crocodiles. 10. Take a Seawalker helmet dive on the edge of Green Island Reef. Lycra suits are available to hire for adults and children, providing sun protection and reducing the possibility of stings and irritations from marine stingers that can frequent tropical waters during certain times of the year. The lycra suits have long sleeves and legs with a hood and mittens. They're a great fun fashion statement and photo opportunity too! The minimum age for Scuba Diving and Seawalker is 12 years. Certain medical conditions, medications and height restrictions may preclude some people from participating in optional in-water activities. For absolute beginners, Green Island is one of the easiest ways to introduce yourself to snorkelling. The corals are very close to shore and the island provides protection which makes snorkelling an easy and enjoyable experience. 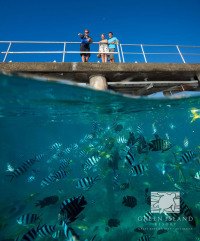 The most popular snorkel spot is around the coral gardens close to the pier. You can get a good view of where to snorkel as you walk along the pier. Bear in mind this area is not lifeguard patrolled. A patrolled swimming area is provided on the northern side of the island near the beach hire hut. The extensive seagrass beds and sheltered surrounds mean that turtles are in abundance, as are stingrays and a whole multitude of reef fish. - Always swim in buddy pairs – it’s a much safer option, and you have someone to share your amazing experiences with! - Never look directly down when snorkelling, or your snorkel may turn into a drinking straw! - Keep your face looking forward, and ensure your snorkel is slightly angled backwards – this should keep your snorkel dry. With a circumference of just 1.6km, take an easy self guided eco walk to explore the island's coastal and rainforest plants, and colourful history. 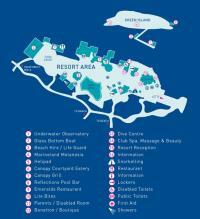 Plan out your day on Green Island with this handy map. The complete reef and island experience awaits with this exciting cruise. Enjoy a 2 hour stopover to explore Green Island before continuing to Great Adventures spacious Outer Barrier Reef platform. Walk along the Sea floor at Green Island, perfect for non-swimmers or anyone else who might not be confident in water! Marineland Melanesia, not only is it home to the largest captive crocodile in Australia, Cassius, it is also home to one of the largest private collections of exotic Melanesian tribal artifacts and aquariums. 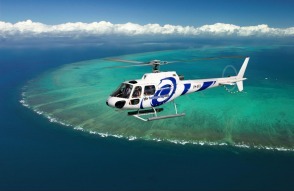 Take a spectacular scenic heli flight from Green Island or take the ultimate reef experience combining Green Island, the Outer Barrier Reef and a scenic heli flight transfer. A sanctuary for the ultimate in relaxation. Strictly massage! View treatment menu here. Grab your snorkel gear and explore Green Island's fringing reefs. Ideal for beginner snorkellers, you can snorkel directly from the beach. Snorkelling under the jetty provides the best chance of spotting turtles, stingrays and more! View the reef without getting wet! A 30 minute glass bottom boat tour will allow you to view the diversity of the reef and coral gardens, accompanied by an interesting marinelife commentary. On display is one of the world's largest collections of Melanesian Tribal Artifacts, an amazing display of Aquariums and over 40 crocodiles including Cassius - the world's largest captive crocodile! Drift along at your own pace and view the island from a different perspective, in your own sea kayak. Kayaks, surfski's and windsurfers are available to hire from the Beach Hire Hut. 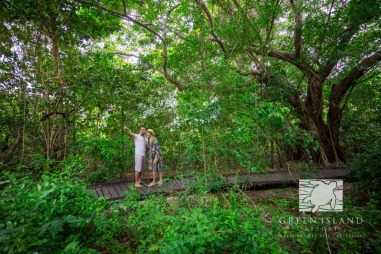 Explore Green Island's unique flora & fauna along the self-guided rainforest walk. Follow the signage past Marine Melanesia to the interpretive boardwalk where you can learn about the island formation, history and culture. 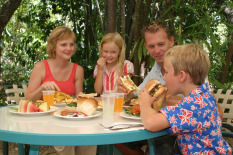 You can enjoy lunch at the Canopy Grill, grab a snack at Lite Bites, or dine at Green Island Resort's Emeralds Restaurant. A casual alternative for an informal and inexpensive a la carte lunch menu. Offering burgers, fish and chips, or café style wraps. Open daily from 9:30am - 3:30pm. Time for a treat! Pick your favourite from a variety of delicious ice creams. Drinks, shakes & snacks also available. Open daily from 9:30am to 4:00pm. A delicious hot & cold buffet lunch is available from 11am until 2.30pm. Reflections is the perfect place to enjoy a beverage by the main pool. Indulge in your favourite drink, espresso coffee or cocktail. Open daily from 9:30pm to 3:30pm. Offering elegant a la carte dining from $14 or a 2 course set menu from $39. Choose outdoor terrace or air-conditioned dining. Open for breakfast, lunch and dinner.